Glasgow has been named as the first of four cities in Scotland to implement Low Emission Zones. Work is already underway to have the zone in place by 2019, with plans to target buses first as they will have the biggest impact. 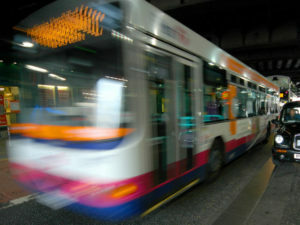 However, Glasgow City Council has said that the zone will eventually target trucks, vans, cars, taxis and motorbikes although details have not been revealed. The zone will be based on a framework currently being developed through the Transport Scotland ‘Building Scotland’s Low Emission Zones’ consultation, which is open until 28 November 2017. Low emission zones will also follow in Edinburgh, Aberdeen and Dundee by 2020. Commenting on the Glasgow announcement, Transport Minister, Humza Yousaf said: “This is a decision based on the scientific evidence which demonstrates the link between air pollution and ill health. “Our position is that local authorities should be ambitious, and that all vehicles including private cars should be included in a LEZ in a phased manner.”For more of the latest industry news, click here.